Everything. Located behind Pavillion, so it is less busy. Close to Aquaria KLCC and 7/11. Bedroom view was amazing too. Credits to Azrul for being helpful. My dad was sick and he let us check out late. Loved the location, a short walk away to KLCC, I'm not a far-distance-walker so trust me it was really close. Location was so central, yet it's on a non-touristy road so you're quite relaxed and away from the hustle and bustle, I loved the view from the window, just sat there on the sofa in the dark at night watching cars drive past. Everything was clean, tastefully decorated. Everyone was nice and curteous up front. But behind yor back can be classified as "suspicious". The Apartment was very spacious, beds where so comfortable. Easy check in and self check out. It is also near the KLCC Acquaria and the bus station. Omar, our host, is very accommodating and helpful. He answers all our queries right away. The staff is helpful during our stay! Direction and info’s was given several days before arrival. Much convenience for us to check-in. Quick response for any inquiries. Recommended to stay here! Great location! Very spacious apartment! Great view! Lock in a great price for VIPOD Suites KLCC by Luxury Suites Asia – rated 8.4 by recent guests! 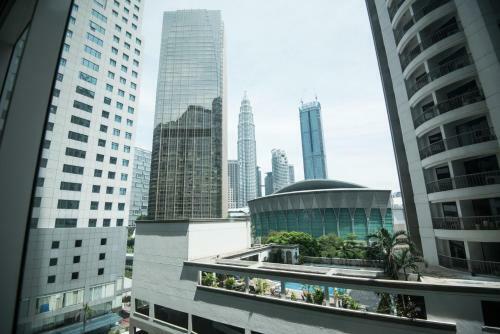 One of our top picks in Kuala Lumpur.Located within the hustle and bustle of the city center, Apartment Vipod KLCC offers accommodations in Kuala Lumpur. Free WiFi is available throughout the property. It is 800 feet to Aquaria KLCC, while Pavilion Shopping Mall is 600 feet away. Suria KLCC and the Petronas Twin Towers are within 2,300 feet from Apartment Vipod KLCC. 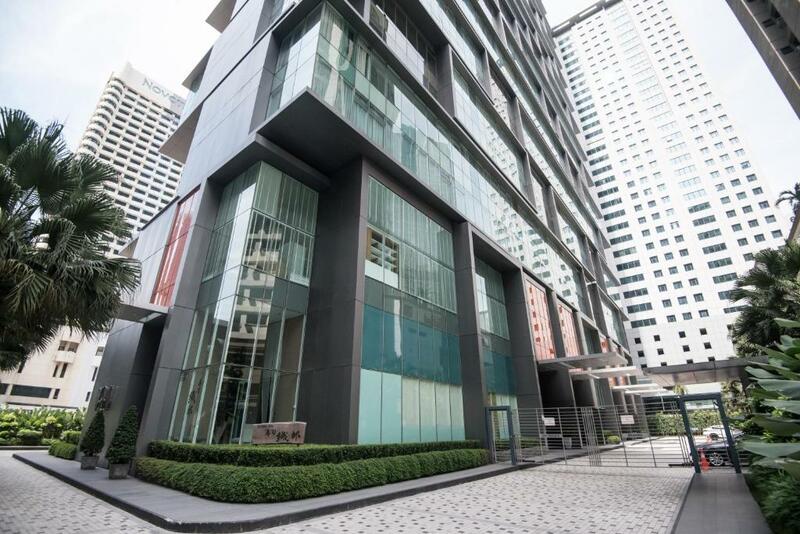 The nearest LRT, Rajah Chulan LRT Station, is 1,500 feet from the property. Kuala Lumpur International Airport is 36 mi away. 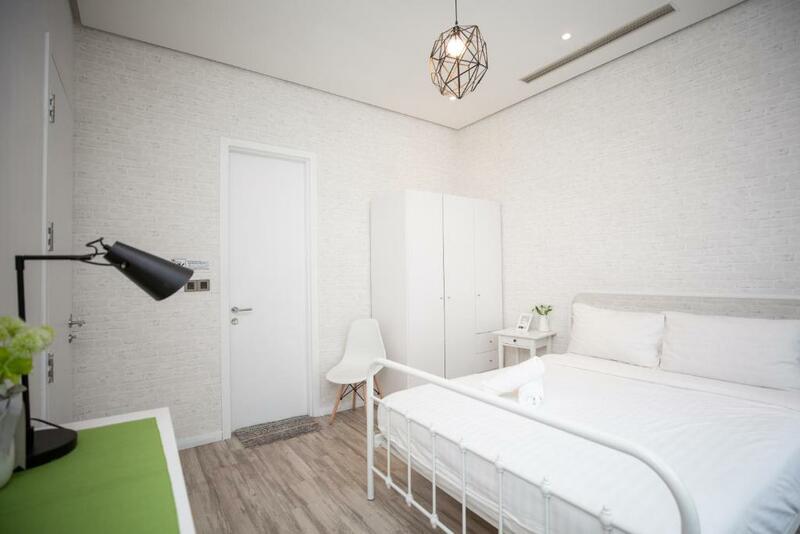 The units provide views of the city and come with a washing machine, a fully equipped kitchen, and a shared bathroom with free toiletries. An oven and kettle are also available. Guests can request for luandry services at additional charges. Alternatively, guests can explore the surrounding area for a variety of dining and shopping options. 뀐 Located in the real heart of Kuala Lumpur, this property has an excellent location score of 9.1! 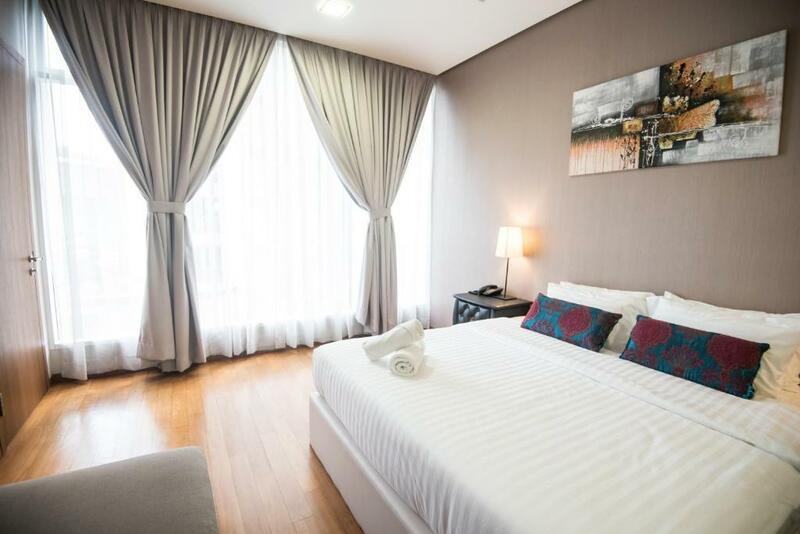 When would you like to stay at VIPOD Suites KLCC by Luxury Suites Asia? This air-conditioned two-bedroom apartment opens up to vies of the city. The separate living room is fitted with a cable TV, sofa and a desk. The kitchen is equipped with a stove top and a microwave. The private bathroom includes shower facilities, a hairdryer and free toiletries. 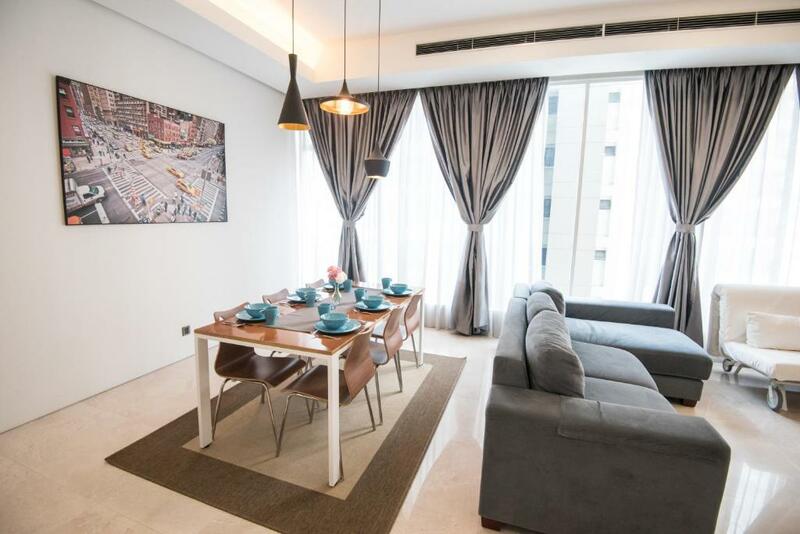 This spacious air-conditioned two-bedroom apartment opens up to vies of the city. The separate living room is fitted with a cable TV, sofa and a desk. The kitchen is equipped with a stove top and a microwave. The private bathroom includes shower facilities, a hairdryer and free toiletries. House Rules VIPOD Suites KLCC by Luxury Suites Asia takes special requests – add in the next step! A MYR300 damage deposit is required on arrival (around USD72.60). This deposit will be fully refunded at check-out, as long as there isn't any damage to the property. Up to two children under 6 years are charged MYR 50 per night when using existing beds. VIPOD Suites KLCC by Luxury Suites Asia accepts these cards and reserves the right to temporarily hold an amount prior to arrival. Please inform VIPOD Suites KLCC by Luxury Suites Asia of your expected arrival time in advance. You can use the Special Requests box when booking, or contact the property directly using the contact details in your confirmation. A damage deposit of MYR 300 is required on arrival. That's about 72.60USD. This will be collected by credit card. You should be reimbursed on check-out. Your deposit will be refunded in full by credit card, subject to an inspection of the property. Host was very good and hospitable. I booked only a couple hours before checking in and It was quick and easy. the room and facilities are well kept n maintained. the pics from the website shows are true. 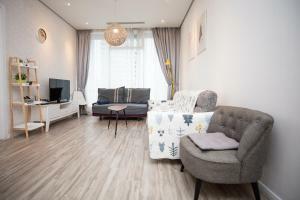 The 3 rooms apartment are spacious and definately worth for those travelling with families or in big group. The oven was not working so we could not use it to heat up our food. Also, there was only one toilet in the entire room, limiting us to only one person in the toilet at once. We were able to cook and make our own food with the use of pots and a stove. There was also a washing machine which allowed us to wash our clothes more conveniently. The beds were also quite comfortable. The 2-room unit is not as good as expected. 1 room is fine with amenities,however one room was empty,no cupboard no mirror.aircon was hot in the living room & the smaller room. Toilet was a sharing one. Could be better. Near pavillion and city centre. Drinking water pressure was not so strong. Wifi is abit slow at times. Did not exactly post that No usage of swimming pool. On the very 1st day the wifi fail to connect. Master room is ok. But the other room is too small. Without a wardrobe. The room is lacking to hang clothing. The toilet was spacious but you got no place or hook to hang your clothing. 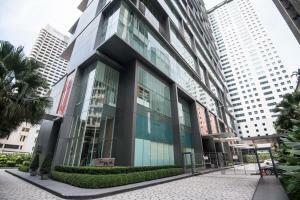 The location is very ideal and near to the shopping belt of Bt Bintang, BTS and KLCC. Transportation (Grab) and train was easily accessible. Less than 5 mins walk to Bt Bintang Pavillion Mall. 5 mins walk to KLCC. 2 stations away to BTS. Excellence location.